Chaos are the World Championship winning, benchmark wheel for dirt jumping. Used and loved world over by riders and endorsed by international professionals Sam Pilgrim, Matt Jones and Jordie Lunn, Chaos wheels are at the pinnacle of dirt jump wheels that stand up to the hardest of use. 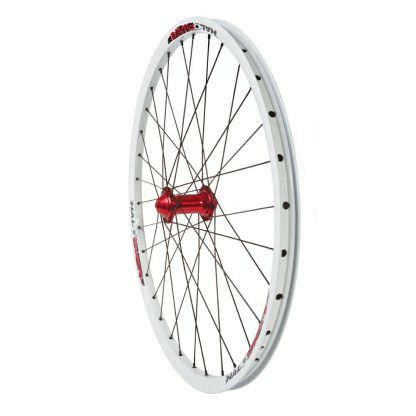 Chaos rear dirt jump wheels are built around our 11 tooth mini thread on cog, single speed DJD Rear hubs, with the option of our 120 point pick up Supadrive or a standard 3 pawl drive. 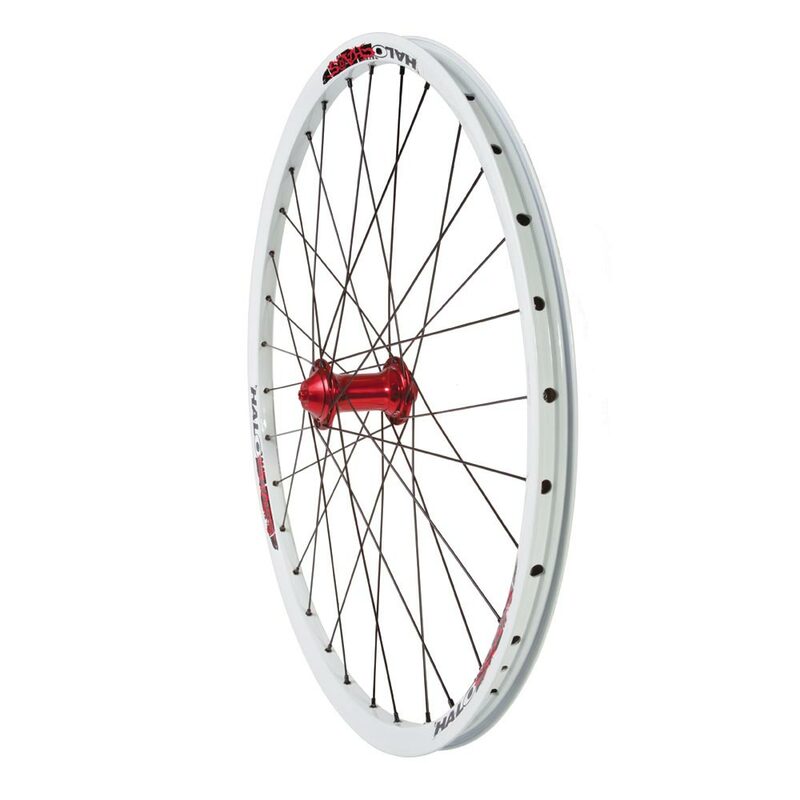 Chaos Front wheels use the brakeless DJ Wideboy hub. All of our DJ series hubs utilise large sealed bearings for longevity and super wide spaced flanges for increased stiffness and durability.